After registering, completing the course and passing the final exam, your completion will be transmitted electronically to the Florida Department of Highway Safety and Motor Vehicles, due to the fact that the Department no longer accepts paper certificates. 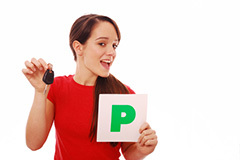 After passing your final exam, please click on the following link to verify that your completion was successfully transmitted to the drivers license office. Enter only your date of birth and the last four digits of your social security number.